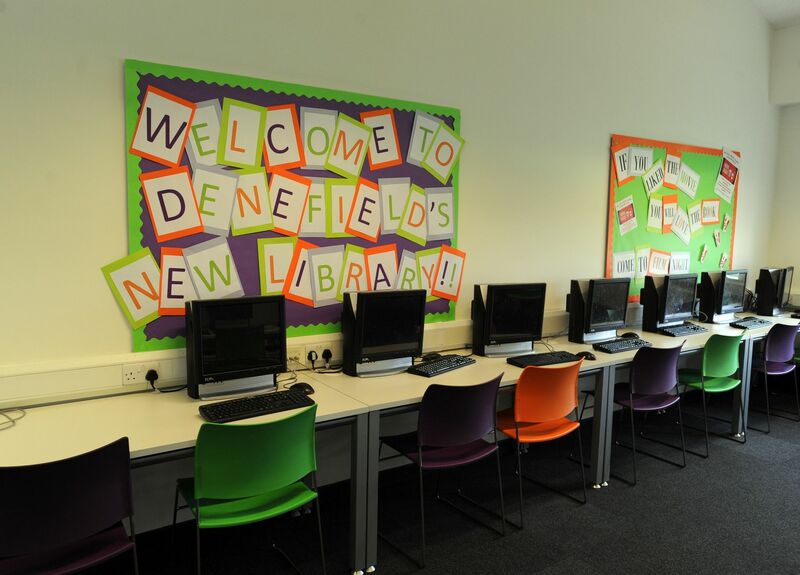 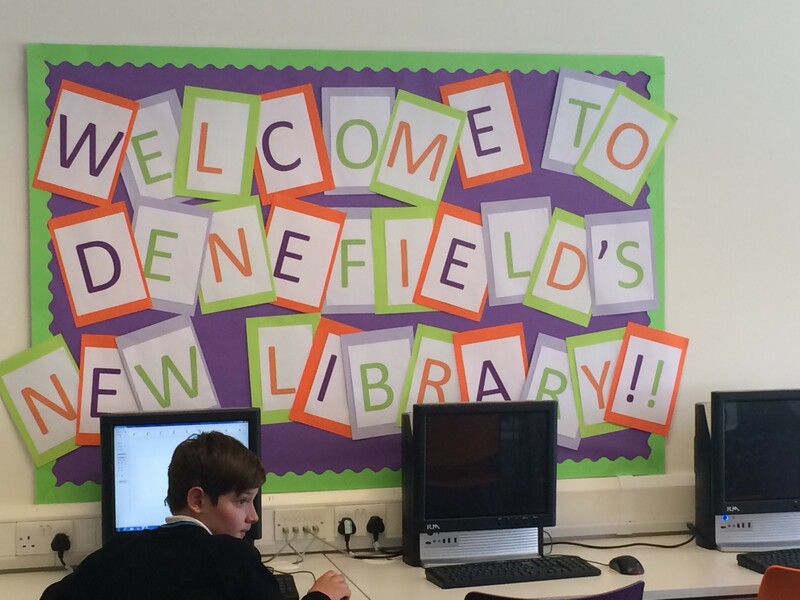 Over the summer holidays, Denefield School in Tilehurst was given a £50,000 investment to revamp their large first floor library. 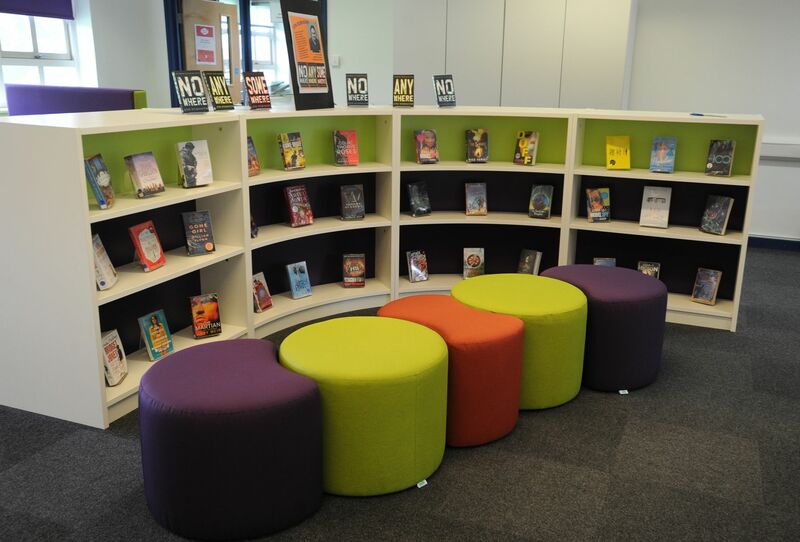 The aim of the new library and resource centre was to combine the traditional facility of books on shelves with space for lots more books, IT equipment for online research and spaces for the students to sit and socialise during break times. 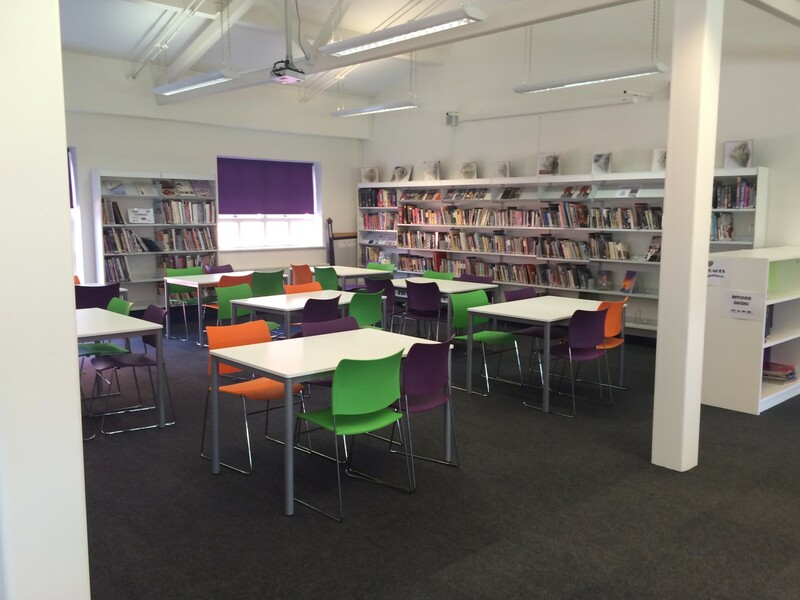 The refurbished library was officially opened by author Jon Robinson at the beginning of the new school term. 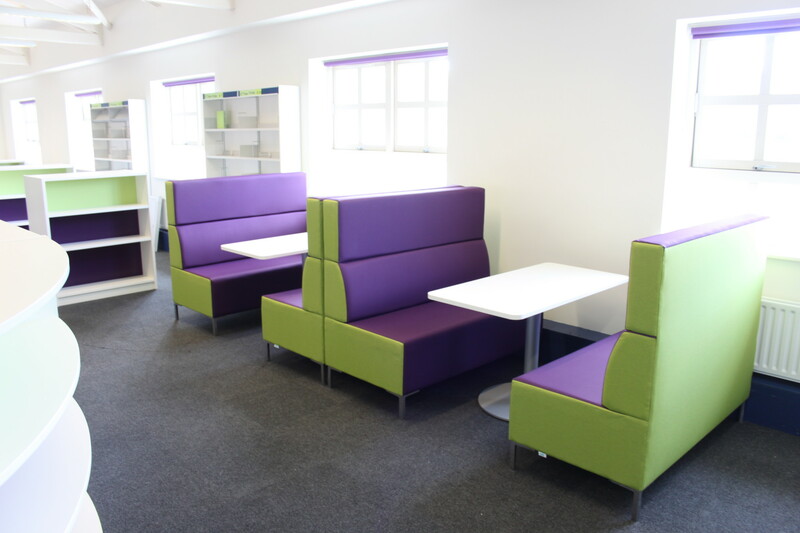 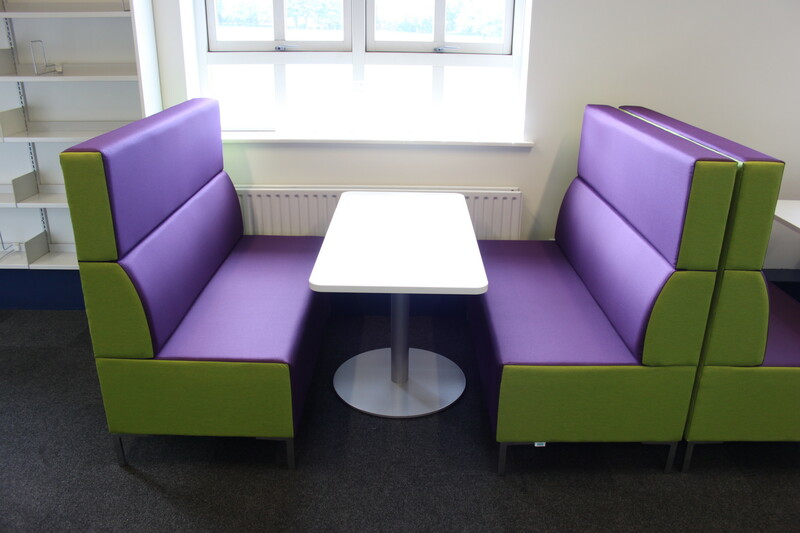 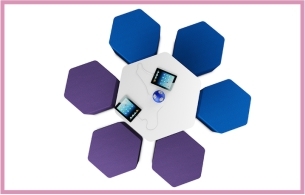 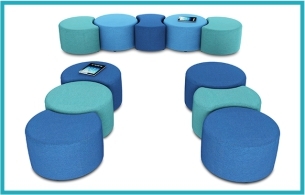 zioxi worked very closely with the school to develop a furniture proposal which meet everyone’s needs. 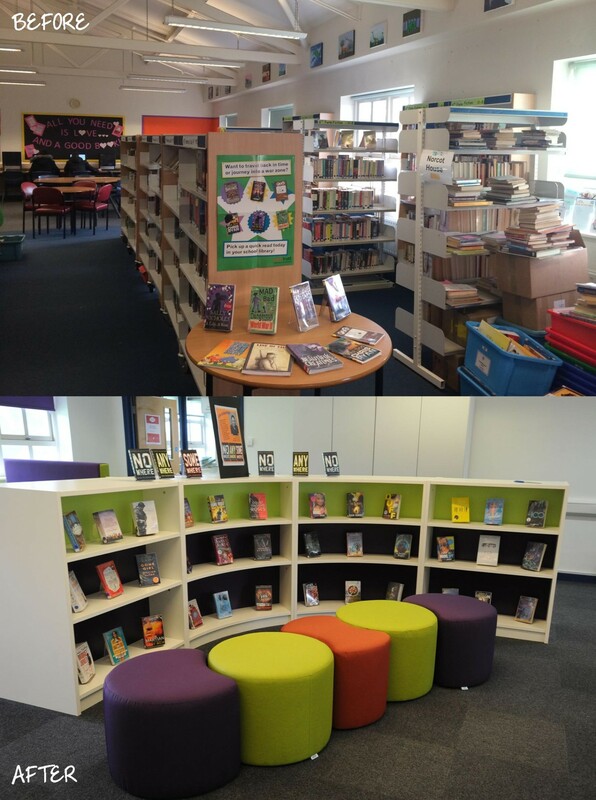 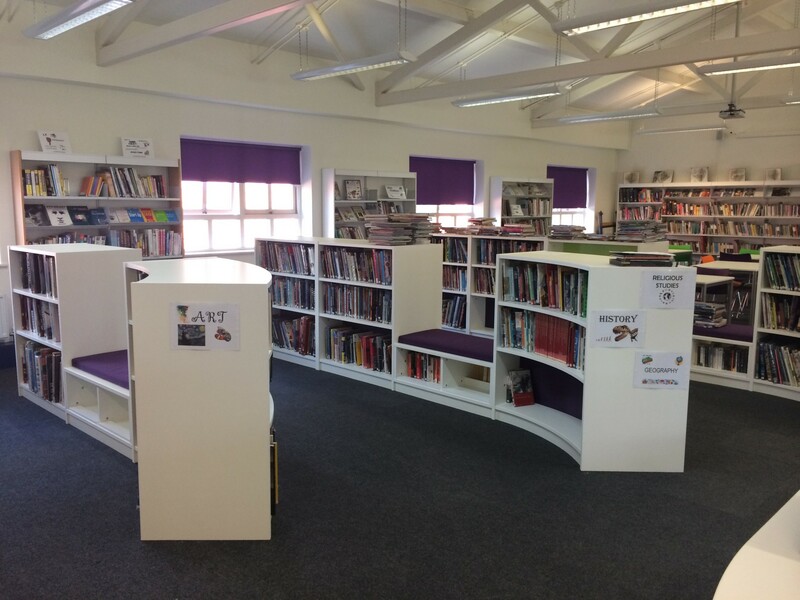 The school were very keen to be able to use the library space for lots of different activities many of which would take place simultaneously. 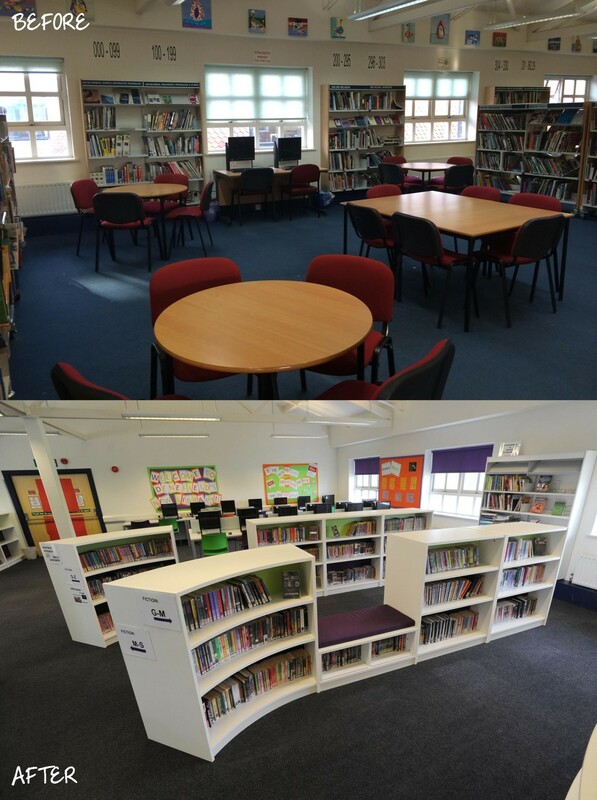 The library needed to accommodate an area for a teaching a full class of students, a space dedicated to IT, a quieter Sixth Form study space as well as lots and lots of shelving for 15,000 books! 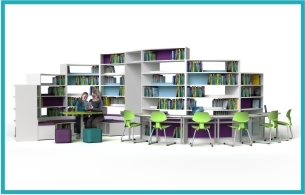 zioxi’ furniture proposal included positioning a bespoke circular reception desk in the centre of the Library space, providing the Librarians with lots of storage and a clear and commanding view across the space. 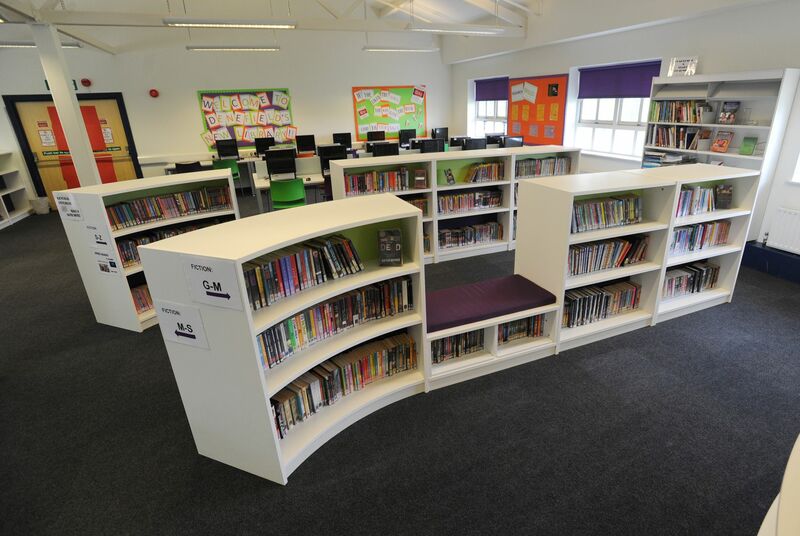 Throughout the library, medium height bookcases were arranged in waves and curves creating areas between them for both individual study and group working. 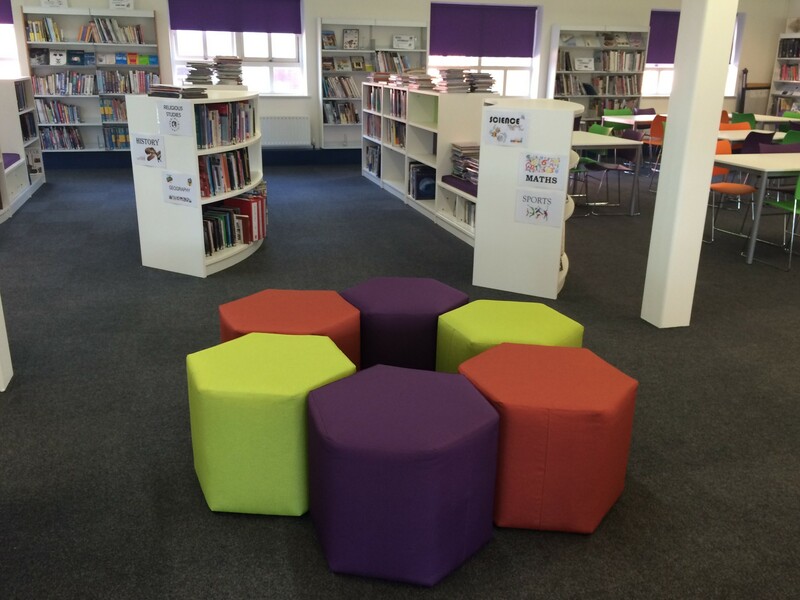 Within these bookcases, upholstered seat pads provided small areas for students to sit and read without being disturbed.